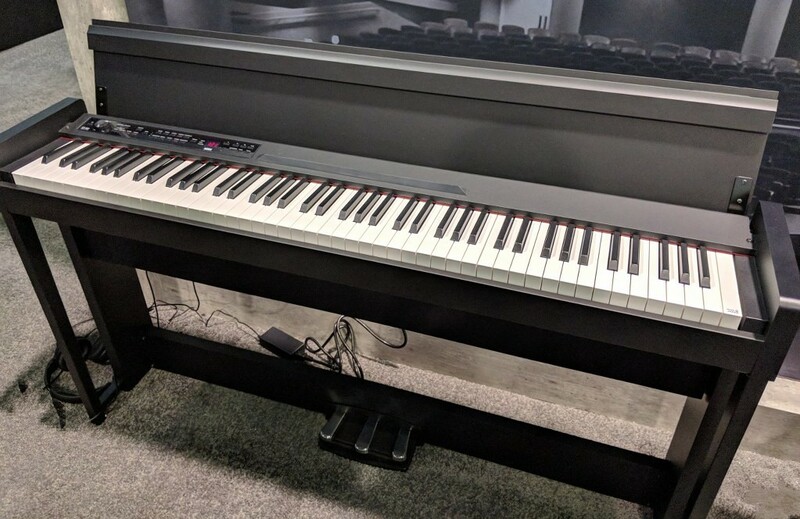 My definition of a digital piano is any 88-key instrument with fully weighted piano type keys that is either portable or in a furniture type cabinet. 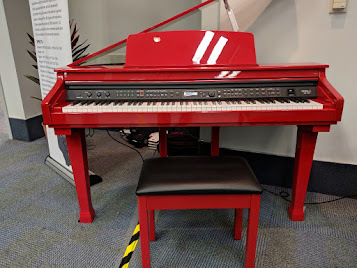 A digital home piano would almost always have a built in internal sound system whereas a pro digital stage piano would normally not have a built-in audio speaker system but instead you would need to connect it to an external system or powered monitors. Digital pianos can be big, small, tall, short, on a portable keyboard stand or have their own stand, and have 3 pedals or one pedal. But the common thread is that they are all 88 weighted keys (with a few exceptions) as opposed to semi-weighted or unweighted keys. When it comes to figuring out which digital piano will meet your needs and your budget, that is where things can get difficult and confusing because there are about 30 digital pianos out there in all available brands in the US with 88 weighted keys in a number of configurations and prices under $1000....that's a lot of models to choose from and we're not even taking about new digital pianos over $1000! So where should you start and how do you know what to spend your hard earned money on? Certainly there are some well known brands such as Yamaha, Casio, Roland, Korg, and Kawai that are noticeably better to consider over brands that are not well known industry leaders such as Korg, Kurzweil, Artesia, Suzuki, etc. For the most part, going with the well known brands is a safer bet and generally you will get more for your money, although not in all cases. 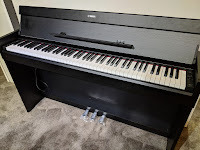 Another thing to consider is whether it would be better for you get a portable digital piano that is easier to move and can be played on a portable x-stand, or maybe a furniture cabinet digital piano would be more appropriate for the room the piano is going in? Finally, which digital piano actually plays and sounds the most like a real piano in your price range under $1000 and how would you know if it did or did not? That's the tricky part because even though you may want to keep the price down, you also do not want to "short-change" yourself and get a digital piano that you or your child will quickly outgrow! 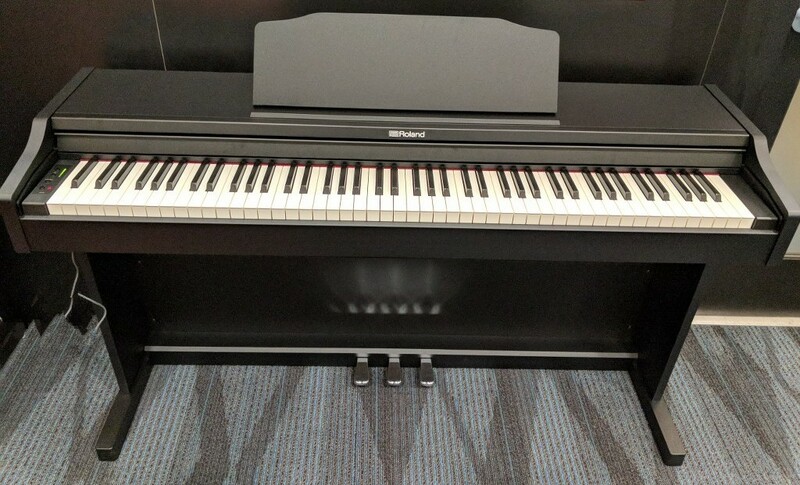 Below are the 2019 digital pianos currently available in the US under $1000. I have played all of these pianos and know them well. The best way for you to know what will fit your musical needs and budget is to do your piano homework and research and then contact me before you buy anything anywhere. My son Erik (he's an experienced digital piano consultant as well) and I will help you figure it out and we expect nothing in return. We do not work for any manufacturer, we don't get paid for our blog, and we do not link you to Amazon so that you can buy anything there. We do this because it's our passion and we don't want to see people make a buying mistake as we have seen other people do in the past. However, once you decide what will work best for you, then we can help you order a variety of new digital pianos for less money than internet or store discount prices incl free shipping, no tax, brand new, with factory warranty (US only). We recommend you do not make a buying decision (in the US) without contacting us first. 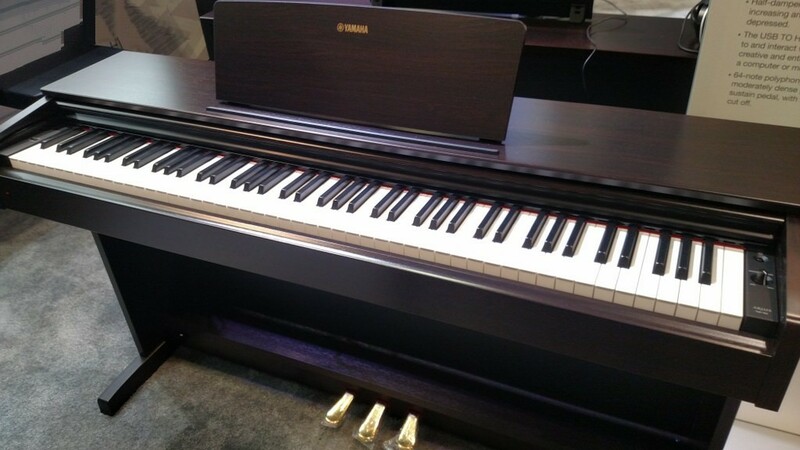 It is interesting to note that of the 4 top digital piano manufacturers (who all have their international headquarters in Japan) which include Casio, Korg, Yamaha, Roland, and Kawai, only Yamaha has brand new models under $1000 in 2019 that were not already introduced and available in 2018. This is because digital piano models normally have a life cycle of about 3-4 years depending on brand and model of the instrument and those manufacturers all have recently introduced their new models under $1000 except for Yamaha who has come out with the P125 which replaces the P115 and YDPS34 which is a completely new model and does not replace anything...it just adds to what Yamaha already had to offer in this price range. For now what is available from these companies are very good choices and have the latest digital piano technology they offer in this price range. ROLAND - Roland is a well known music products company and they have made pro stage music products for many years along with an array of 88-piano weighted key digital pianos. However just like Yamaha, Roland is much more competitive with their digital pianos over $2000 as opposed to under $2000 or under $1000 based on my experience with them. They have 3 digital pianos under $1000 in the mainstream consumer market and they are called the FP30 ($699US internet price) which is a portable model, a home furniture cabinet model called the RP102 at $999US discount price, and a brand new portable model which will be out soon and that one is called the FP10 which will sell for just $499. Roland is known for offering a lot of interactive music technology in their digital pianos which is nice to have but overall most people are looking for the best piano playing experience they can get for their price range. In that way when it comes to Roland digital pianos, they do offer an enjoyable piano playing experience although their key actions are a bit more firm (heavier) than the others and their piano sound is a bit more brassy or metallic than the others, but still good and expressive. In my opinion they are better overall than the Yamaha models for the money in this price range but not as realistic or impressive as the newer Casio models when it comes to a more natural playing experience with upgraded speaker systems. KAWAI - Kawai is the only piano company out of the top 4 manufacturers who make only pianos, both digital and acoustic. The other guys make produce many other types of products including drums, guitars, audio equipment, computer related product, motorcycles, watches, calculators, etc. 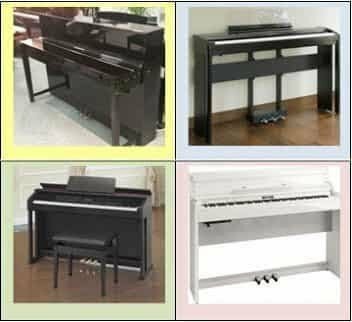 So when it comes to the Kawai company, although they are quite famous in the piano biz worldwide, they are not known outside of that business and they really are a rather small company in comparison the other digital piano manufacturers. However with that being said, the piano product they do make are outstanding instruments and thousands of professional pianists, universities, piano teachers, churches, recording studios, musicians, and piano students own Kawai acoustic upright, grand, and/or digital pianos. Kawai only has 1 digital piano under $1000 and it is a portable model called the ES110 at $699US internet discount price. Even though they have just one model in this price range, it is what I consider to offer the most authentic piano playing experience in a portable digital piano in its price range. Kawai does not have a furniture cabinet model under $1000 so the ES110 is your only choice when it comes to Kawai digital pianos under $1000. They do offer an optional furniture type stand and triple pedal-board unit (as pictured above left) so that it can look and behave bit more like a piano but even without the options the ES110 is a big contender for best bang for the buck under $1000 in a portable model. 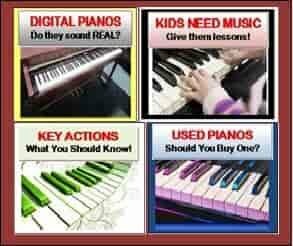 My recommendation is that you think carefully before you buy any digital piano and also consider possibly spending a bit more money so that you won't need to trade out of your piano, especially if you (or your child) progress in your piano playing skills and then find that your current digital piano cannot keep up with you. In reality, you could probably be happy on any of my recommended brands and their models but depending on what your musical goals are, some of them do offer more for the money. 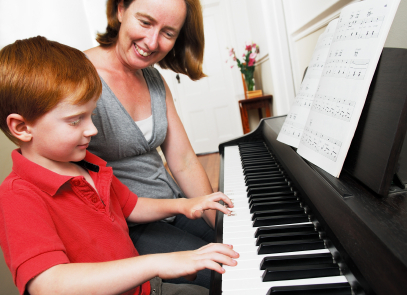 A piano can last many, many years and your can look at it as an investment in your (or your child's) musical future. So when you finally decide to purchase one, make sure you do it right so you won't regret your decision. You can also contact me (and my son, Erik) by phone (if you live in the US) or email and we can help you with free personal piano advice without obligation because we enjoy helping people & talking about pianos. 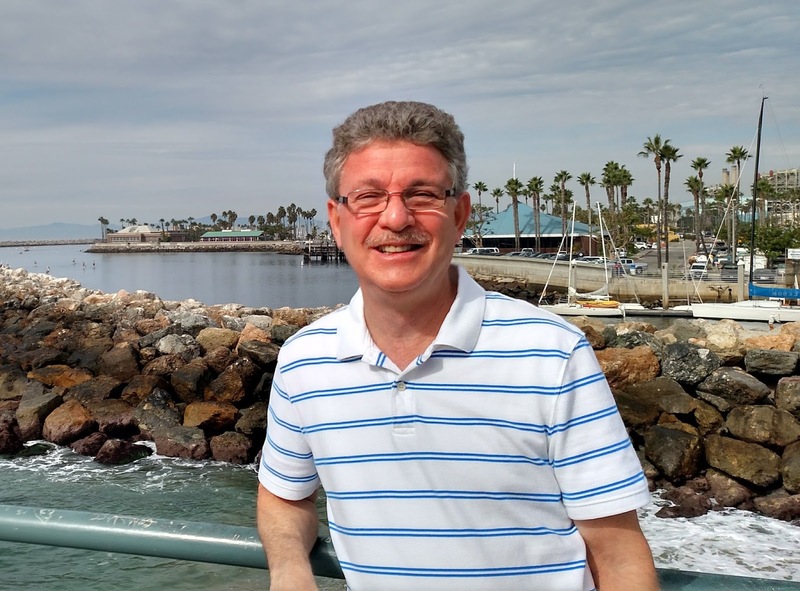 I have been doing this for people throughout the US and the world for many decades and am the foremost authority on the subject of new (and used) digital pianos. Speaking of "used" digital pianos, some people think they might get a better deal if they buy a used digital piano at a lower price but in reality that rarely happens. As digital piano technology changes, many of the new ones play and sound more authentically than ever while the older ones are more artificial and noticeably less realistic. Also the new ones are really not that much more money than used digital pianos plus used digital pianos are almost always sold "as is" so you take a big risk that they will actually work correctly or for a long period of time. If a repair should be needed then it could be very expensive if you can even get replacement parts at all of find a service tech in your are to repair it. A used digital piano can also have "intermittent" electronic or keyboard issues that may not show up all the time so if you buy a used digital piano this may happen to you and you would not know it. Then one day you go to play it and it doesn't play right or doesn't play at all. 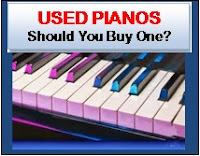 My suggestion is...buy a new digital piano unless the price of a good used digital piano is so low that you are practically getting it for free:). 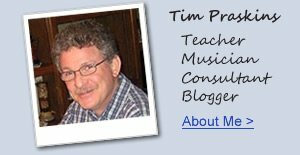 Check out my blog for individual digital piano reviews, info on piano lessons, shopping tips, and other info that I believe you will find useful. Go to my "Search My Reviews" to find my reviews of the various digital pianos and if you don't see what you want, I am always working on and publishing new reviews so it may be up there soon. You can always contact me directly as I likely have played the digital piano you are asking about even though you may not see it yet on my blog. Playing piano is one of the most fulfilling and relaxing things that anyone can do and I can personally attest to that fact along with my entire family. I have seen it literally change the lives of thousands of students for the better such as the students that I have personally been involved with in the pictures. Although some people, especially young people, may not like all kinds of music, particularly classical music, playing piano gives them the opportunity to play music they would not naturally be attracted to. Did you know one of the reasons piano teachers like using classical music in their lessons is because classical music is more mathematical and complex than ordinary pop or kids music? Yes it's true...learning to play classical music allows the brain to develop in ways that other music just cannot do and scientific studies have shown that kids who are exposed to playing and hearing classical music will likely have a higher IQ and do better in their school subjects than other kids will. I admit that not all classical music is enjoyable to play just like all jazz, rock, and all music is not enjoyable to play. But the point is...please be sure that you give yourself and/or your kids the chance to express themselves musically, especially with a digital piano...you won't regret it! BEWARE! There are MANY so-called digital piano review sites that are either fake or have only one thing on their minds...to get you to buy almost any digital piano available on Amazon so they can make Amazon affiliate commissions off the sale! This kind of thing is definitely not helpful and in fact some of these so-called review sites show older discontinued digital pianos as current new models and also have no idea what they are talking about most of the time. They even have the nerve to say good things about poor quality digital pianos such as such as Alesis, Williams, or try to suggest that cheap spring action keyboards play like digital pianos with weighted keys! 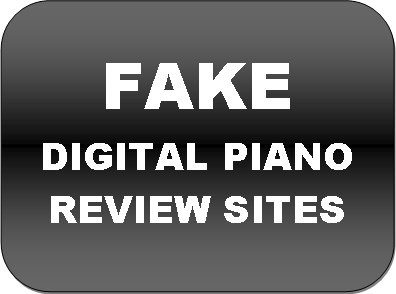 It's easy to put up a fake "review site" but it's difficult to actually have played these digital pianos in person let alone know what you're talking about when it comes to what these things can and cannot do. Don't get fooled...if you see that a review site links their reviews to Amazon, then that is the RED FLAG you should avoid in what those sites have to say. Look for someone who knows what they are talking about and is willing to personally help you make the right piano purchase decision. As an example, on one fake review site that I found on-line, the fake reviewer said the following: "This is a grand piano which can be used by any world class professionals for any grand concerts." What they were referring to is a $700 portable digital piano that may be fun to play but is as far away from a real grand piano as a bicycle is from a Mercedes Benz SUV...there is no comparison. These people also have bad grammar (another Red Flag) because there is no such thing as "grand concerts." What in the world is that supposed to mean? No one writes like that unless they are making it all up. It's these kinds of comments that tell me the "review" is fake as is the name of the reviewer is fake and likely they are fake review writers hired in the Middle East or Asia by fake review sites to write fake reviews to (hopefully) make money from Amazon and in fact this is what you'll find with other product reviews (cars, appliances, sporting equipment, guitars, etc)...fake content from fake review sites using fake names written by fake people. It's too bad this is going on but unfortunately you need to be very careful what and who you believe. When the writer is making crazy comments like the one I just quoted and they cannot speak correctly...run away from that site as fast as you can! Finally, I do not have a "ratings chart" or do "ratings stars" or "numbers from 1-100" to indicate which piano is better than another because that is a fake way of doing it. Each piano has it's own functions and features as well as appearance and what may be the perfect piano for you may not be the perfect piano for someone else. So a ratings method is not useful and cannot be fair to any digital piano. STAY AWAY from those web sites and if you want real info then look on YouTube as there are a few pretty good video digital piano demos and comparisons out there and then you can contact me for more info and I will help you get the piano you want brand new with free shipping, no sales tax, full factory warranty, for even less money than internet, Amazon, and store discount prices. 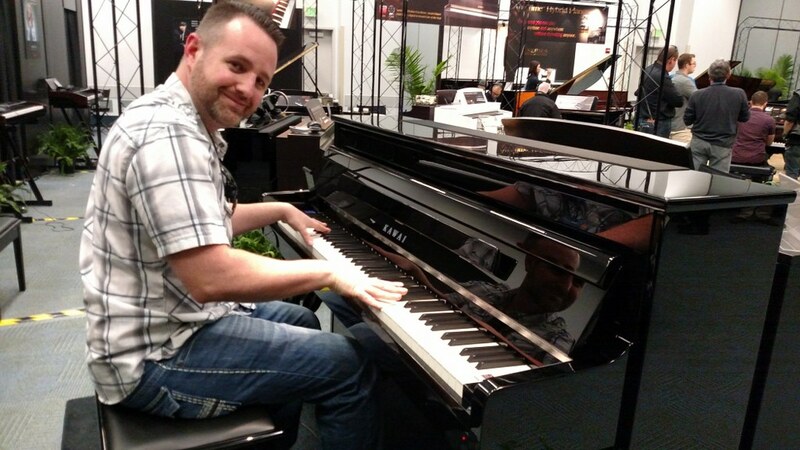 If you want more info on new digital pianos and LOWER PRICES than internet discounts including helping you with credit and no interest if paid in full in 6 months on purchases over $100, please email me at tim@azpianowholesale.com or call direct at 602-571-1864. 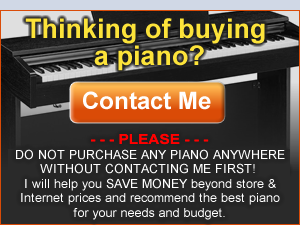 I randomly found your site tonight as i was researching digital pianos. i found your advice extremely helpful in sorting through my options as an adult beginner. I followed your advice and got the kawai es110. thank you for being a valuable resource to the the music community. I was searching about the digital pianos and found this site and I was amazed when I read the content. It's so detailed and understandable. Thank you for such a wonderful piece of content.